Today, over 200,000 women are incarcerated in the United States, and 2.7 million children under the age of eighteen have a parent in prison. The unPrison Project’s mission is to empower incarcerated women and girls by teaching them life skills, cultivating critical thinking, creating plans for life after prison, and helping them stay connected to their children. 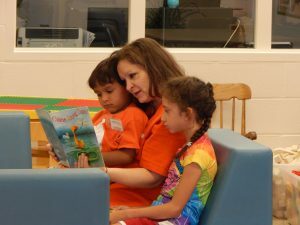 We also strive to bring more public awareness to the needs and lives of incarcerated women and their children. To date, the unPrison Project has already reached over 20,000 incarcerated women, or 10% of the total female prison population in the U.S.
To donate stocks, read more here. Thank you for supporting the mission, work, and programs of the unPrison Project.